The university originally issued an open tender for the media accounts, with the key responsibilities including the need to amplify Monash’s brand and position to a diverse range of audiences across Australia and internationally. These would also need to be underpinned by the goals and priorities highlighted in the University’s five-year strategic plan. "We're thrilled to be working with Reprise. 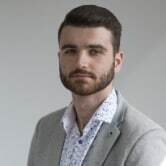 The team has impressed us with their digitally-led strategic thinking and creative, audience-centric approach to reaching our target audiences," Monash University CMO Fabian Marrone said. Monash University has built up its profile as a globally renowned tertiary education provider, now ranked in the top 1% of universities worldwide. Last year Reprise owner IPG Mediabrands pegged the agency as its next "darling" following a radical transformation in the last two years, evolving from its heritage in search and social with various specialist agencies being folded into the network and new global leadership put in place. Y&R Melbourne currently manage the university's creative account, launching a campaign late last year promoting its content publishing platform. Australia's Monash University has appointed IPG Mediabrands’ digitally-led agency Reprise to lead its national and international media accounts. Reprise will spearhead Monash University’s planning, strategy and investment decisions across all paid media including above-the-line, search, social and programmatic. Accroding to Nielsen Ad Intel, Monash University reported $1.9 in estimated media spend 2018. 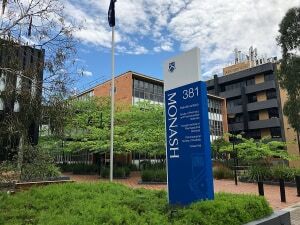 The communications will primarily run across Australia, but also internationally to attract potential students, researchers and lecturers to Monash University. “We’re delighted to be partnering with Monash University, an innovative institution with a powerful vision for success and a strong lean-in to digital," Reprise CEO Dr. Grace Liu said.